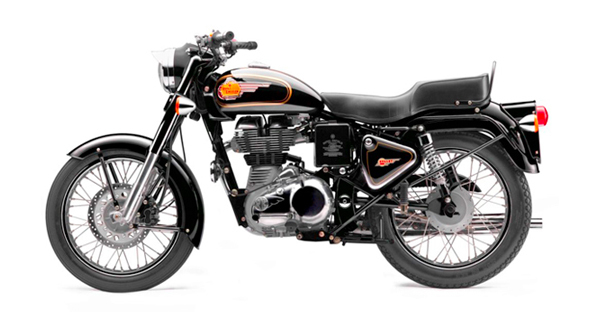 To cater to the North American market, niche bike maker Royal Enfield has set up a direct distribution subsidiary in the US, its first outside India. The company, the two-wheeler division of Eicher Motors, also plans to open its fully-branded retail stores in the US that will sell its entire product line up of motorcycles and gear. The subsidiary will directly sell to dealers and even to customers as a well as directly conduct all market development and support activities such as marketing, service, after sales etc for the Royal Enfield brand in North America, the company said in a filing to the BSE. "North America is a key international market for Royal Enfield with a rich history of riding enthusiasts. Given the lack of attractive options in the mid-size segment, we are well poised to fill the gap and serve potential customers at a close, intimate level by localising our operations in North America," Royal Enfield President Rudratej Singh said. This strategic announcement is in line with Royal Enfield's focused international thrust of leading and expanding the global mid-sized motorcycle segment (250cc-750cc), with North America representing a priority market for it, the company said. Royal Enfield's current product line up in North America includes Bullet 500 cc, Classic 500cc and the Continental GT 535 cc cafe racer, priced between USD 4,995 to USD 5,995. Royal Enfield North America, President, Rod Copes said: "Royal Enfield's first fully branded retail store in the US will soon be launched in Milwaukee that will retail its entire product line of motorcycles and gear." Over the next 18 months, the company plans to launch several such stores in key metropolitan areas across the US, he added. "We are also focussing on building a strong independent dealer network that will maximise our brand awareness and sales," Copes said. The company's current distributors - Classic Motor Works (CMW) located in Fairbault, MN, would be transitioning out of distributing Royal Enfield motorcycles by the end of 2015, he added. The Chennai-based bike maker has been exporting bikes to North America for 15 years. All manufacturing activities of the company would continue in Chennai, while global headquarters would also continue to reside in Gurgaon, it said. In 2014, Royal Enfield sold more that 3 lakh bikes globally. In 2015, the company aims to produce 4,50,000 motorcycles to support its growth strategy globally.